It is that time of the year again when graduate and internship schemes have opened, career fairs have been held and application deadlines are now looming. For many undergraduates, in particular final year students, this is a scary time! You need to consider what you want to do for the rest of your life or for the next couple of years at least, where you want to relocate to and will have to begin a brand new chapter in your life. Even the prospect of having to pay council tax, normal tax and a pension scheme is a horrible reality. Undergraduate students need to be taking the appropriate steps to make their destiny a reality. It is no longer enough to have a degree, albeit from a high quality university. What sets you a part from the person who sits next to you in the lecture theatre? Now is the time to be answering that question. Over summer I was lucky enough to get an internship through the Saltire Foundation, which is an organisation that exists to find, fuel and spark Scotland’s human potential, and thus creating our next generation of business leaders. It was predominantly established because Scotland needs individuals with the business skills and entrepreneurial drive to transform Scottish companies into global businesses of scale and the programme aims to address this. Since the successful completion of my internship I have had the time to consider how important it is to be innovative and entrepreneurial in a business role as these qualities are two key drivers of business success. Being able to capitalise on these skills and demonstrate that you can in fact think outside the box really will set you a part from your peers. Saltire has taught me that Scottish innovation is tangible and has given young people like me the opportunity to globalise, establish skills and make their mark on the world through empowering them to have confidence in themselves. They recognise Scotland’s future is bright and that young people are the key to future success and seem to create long-term relationships with their students who are in turn creating a massive network of talent. One good example of Scottish spirit and entrepreneurial talent is Mark Beaumont, who is now a patron of the Saltire Foundation. He was named Graduate of the Year by Glasgow University in 2008 and won the prestigious “Top Scot” at the Glenfiddich Spirit of Scotland awards in 2010. He is passionate about developing an ambitious and entrepreneurial spirit in Scotland. 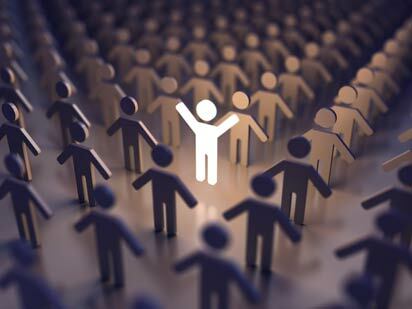 In an interview given to the Saltire Foundation he stated that, “Education is important, skills are essential, but it’s the personal ownership of your path in life, the willingness to take risks and having confidence to stand out from the crowd that marks real success”. In essence find your driving force and use it innovatively to become a more intuitive person and hopefully a business leader of the future. Scotland has a history of strong innovation, we invented the telephone, the TV and the bike, items that are used by everyday people on everyday occasions and which have in some respects changed the way ordinary people live. In fact the University of Strathclyde has produced a great number of global innovators and entrepreneurs including John Logie Baird, James Young and more recently Sir Tom Hunter – a man who donated £5million to establish the Hunter Centre for Entrepreneurship at our university. Hopefully after reading this the budding entrepreneur inside you will have realised a number of things. Firstly, I would like to think that this article may have got you thinking about the future, your individual qualities and talents, and how these can be applied to your working life. Secondly I hope that this article has shown that Scotland is an enterprising and innovative nation. We may be small in terms of our millions but it is about quality and not quantity when it comes to producing talent and as a University, Strathclyde has definitely proven this a valid point. So let’s try become some of the future business leaders and entrepreneurs in industry and in a few years’ time the next generation of students will be aspiring to be just like us.